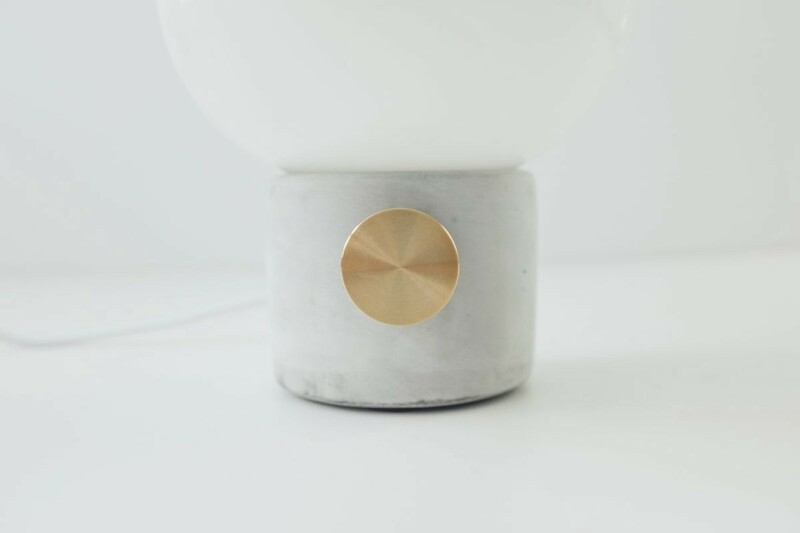 The JWDA Menu concrete lamp has been popping up a lot lately, which caught my eye in the search to replace the oh so frustrating Ikea lamp I’ve had on my bedside table. I purchased it from Gabriel Ross a few months ago, and couldn’t be happier with the replacement. At first glance, the simplicity and mixture of raw concrete and brass is striking. 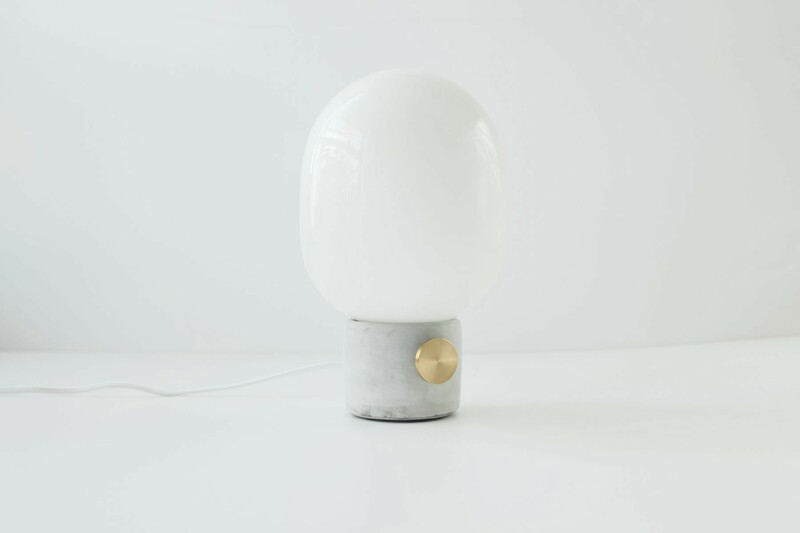 The lamp was designed by Jonas Wagell in 2014 through his studio and comes in a variety of materials, as well as formats. It’s been a huge success since then, selling around 1,000 lamps per month since the release. 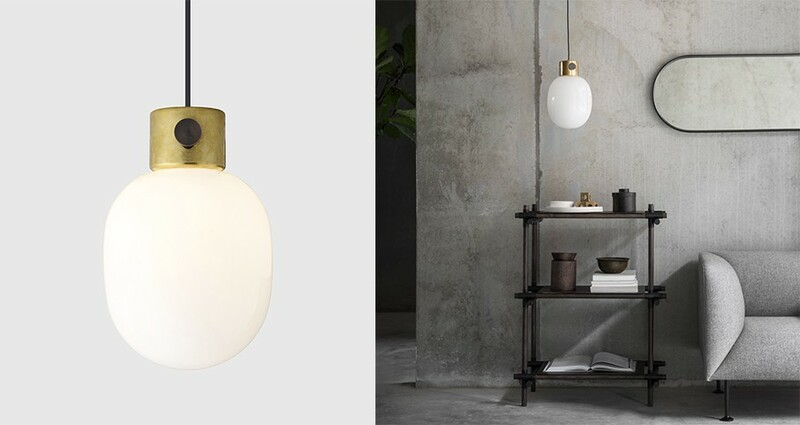 One of the most unique parts about the lamp isn’t just the raw materials, but the shape of the glass dome itself. 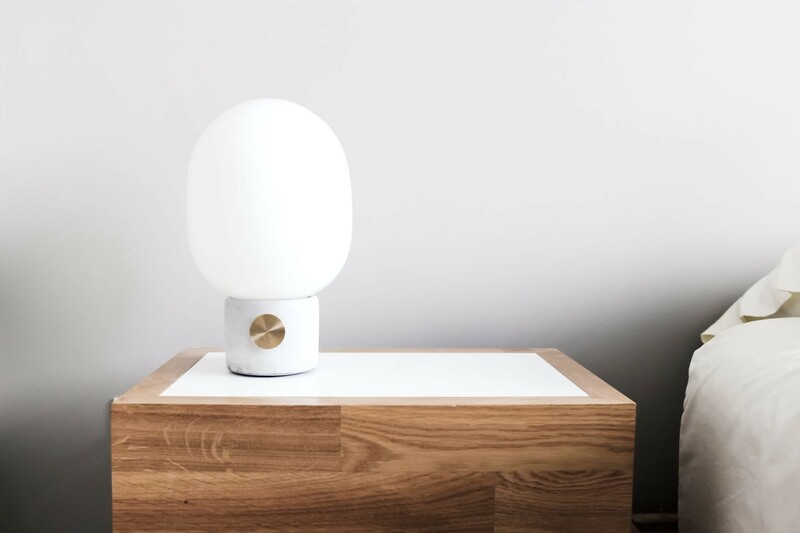 Jonas says the design was originally inspired by traditional oil lamps, but evolved into this striking design with his unique modern style. One of my favorite things about the lamp is that it seamlessly blends in with a variety of furniture and materials. I’ve had it everywhere from my desk while working, an armrest table on my couch, to where it lives now on my bedside table. With dimensions of 6.7” wide and 11.4” tall, it feels like the perfect size for the bedroom. 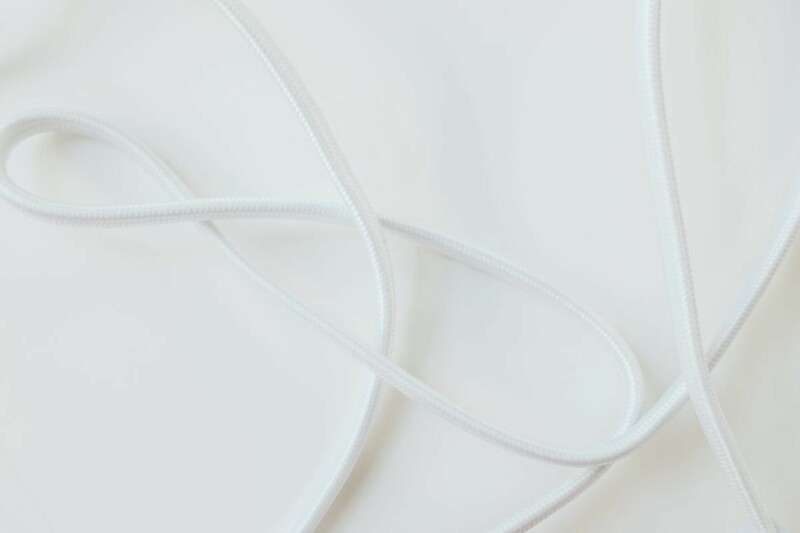 The 6.5 foot braided fabric cord also adds a little bit of elegance to the otherwise plain plastic cords typically found in lighting. It’s the little things that count. The Menu JDWA lamp comes in dark grey/steel, brass/brown, as well as the light grey and brass version that I picked up. The latter has a price increase of about $40, but I feel like this is the version to get of the three. 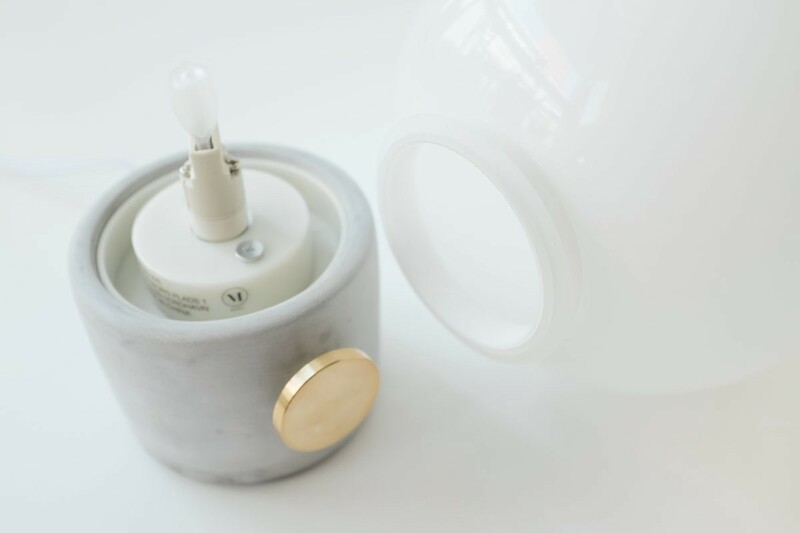 The lamp also comes in a pendant version if you’d like to hang it from your ceiling instead. Pictured here is the brass version. 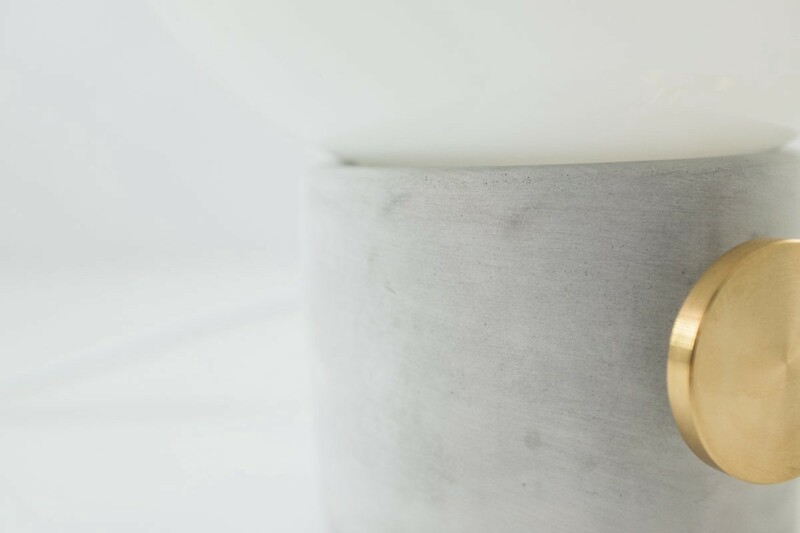 Since it’s made with concrete, each lamp base will have it’s own unique character and patina. 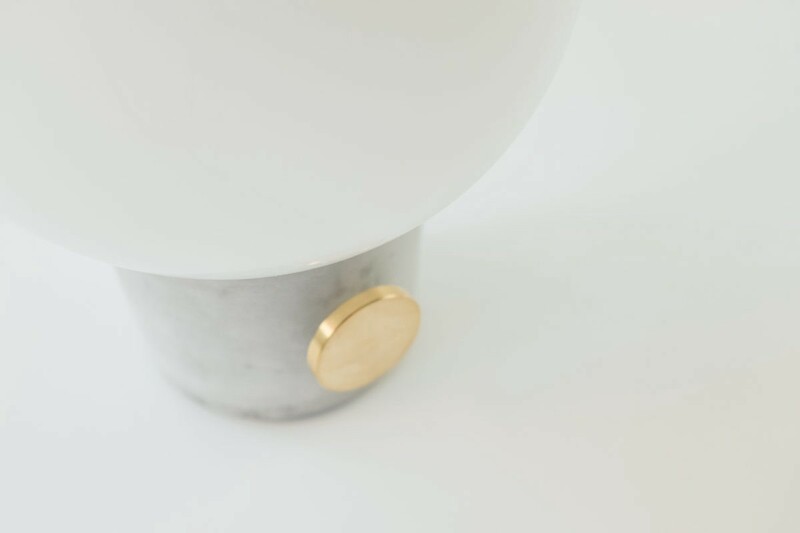 The entire lamp has no visible markings, and is controlled by this simple, brass knob. 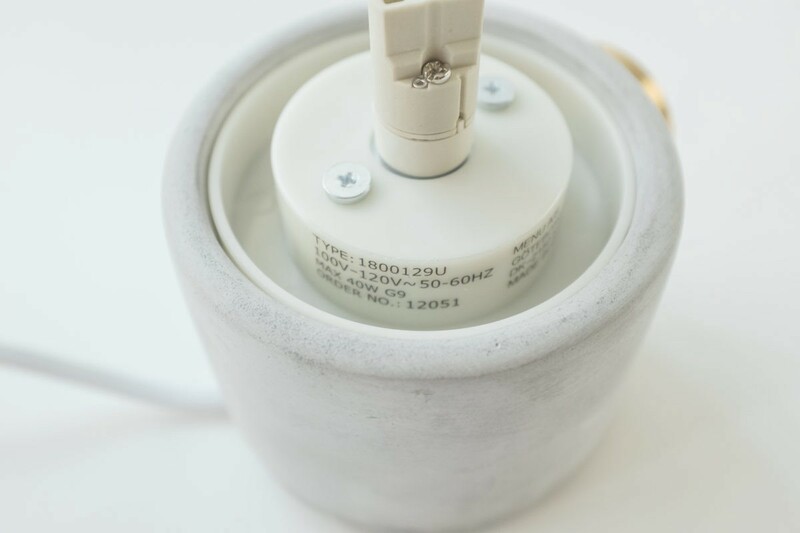 Rotating it clockwise will at first switch on the lamp with a satisfying click and will then act as a dimmer and gradually get brighter until it reaches it’s max setting. 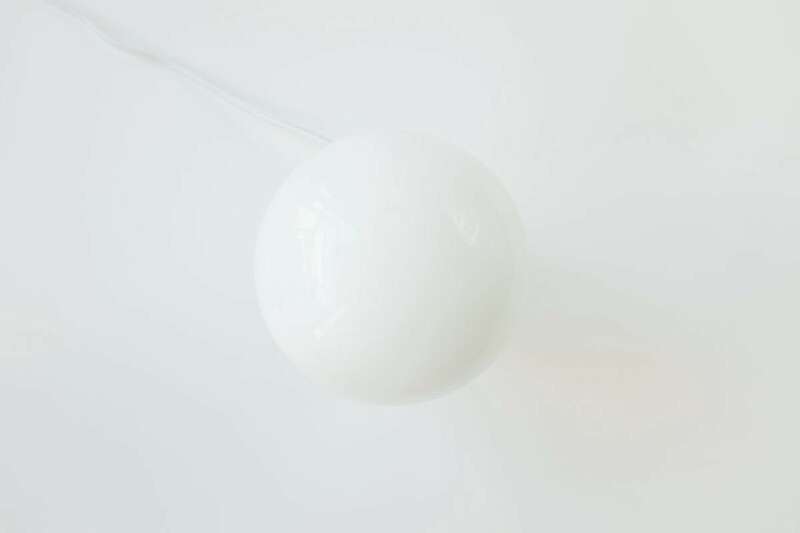 Looking at it from the top, the opal glass bulb takes over the design, hiding the small base from view. With a light pull, the glass dome pops right off the base. The bottom of the dome has a small rubber ring that does a surprisingly good job of keeping it snug to the base. The next thing I noticed was the small, somewhat uncommon bulb. 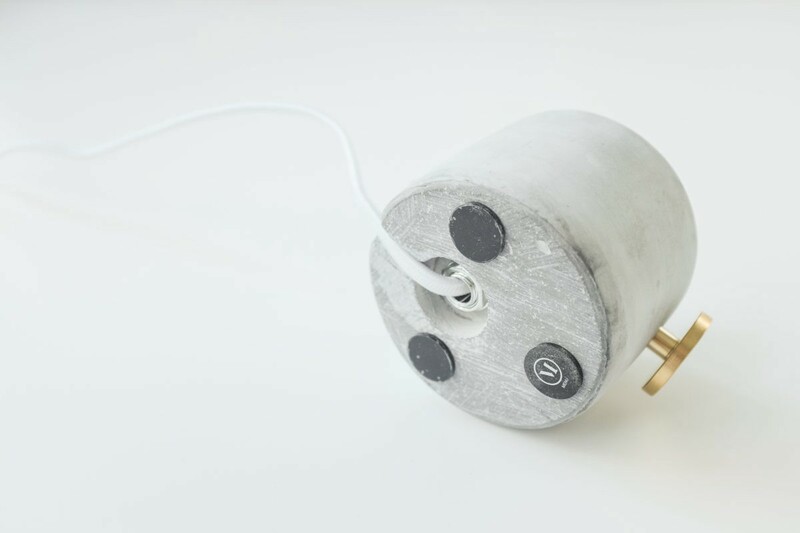 The 40W 120v Looped Bi-pin JC Halogen bulb has a slightly ghosted outer shell and when turned on inside of the lamp, emanates a soft glow with no visible shape you would get with a typical bulb. It’s a nice touch. 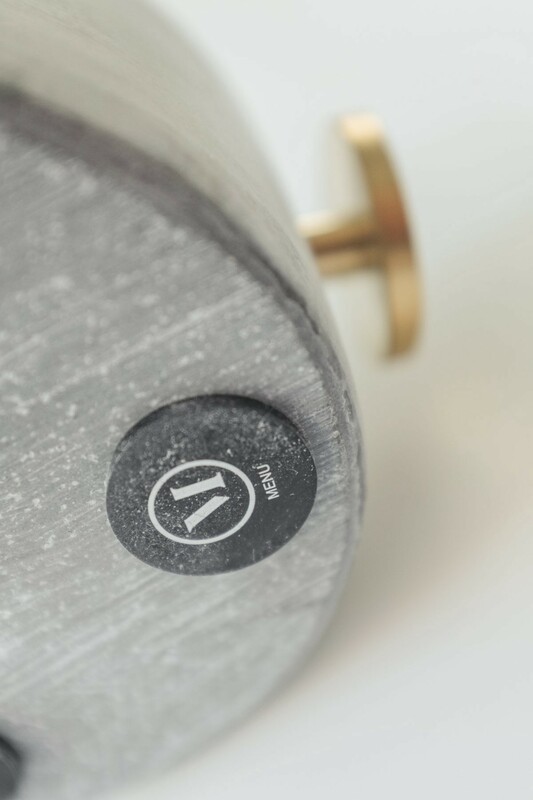 Looking at the inner base of the lamp, you’ll find some subtle branding from Menu, as well as some technical information. 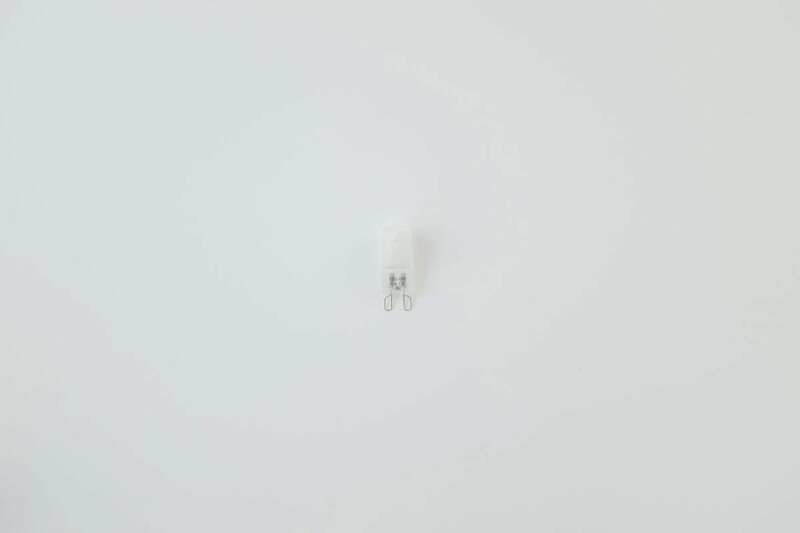 Flipping it over, you’ll find 3 small rubber feet to keep it balanced, as well as a small notch out of the bottom to allow the cord to seamlessly pass through. In true minimalist form, branding isn’t typically seen on Menu products unless you go looking for it. 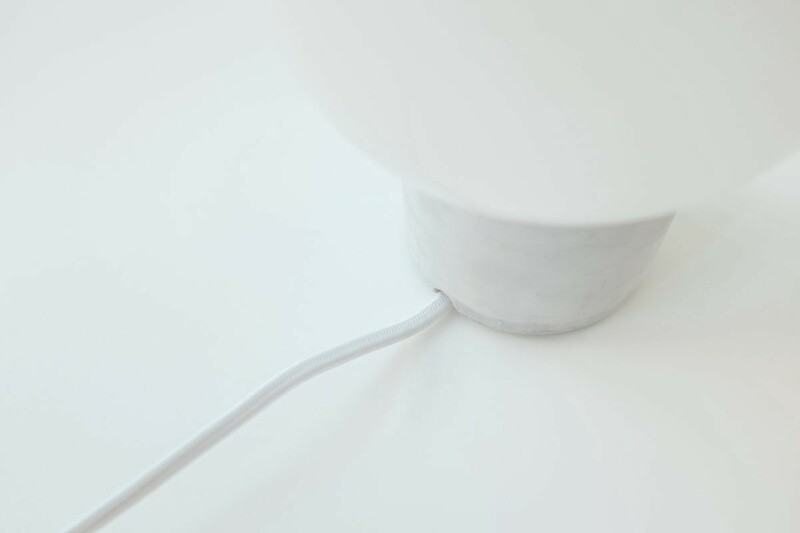 The rear of the lamp is just as simple as the front, allowing the cable to sneak out of the base. I like how the color of the cable blends right in with the glass and the concrete. When searching for a lamp, I wanted something elegant when it was either on or off, paired with a timeless design that would suit a variety of apartments I’ll end up living in. 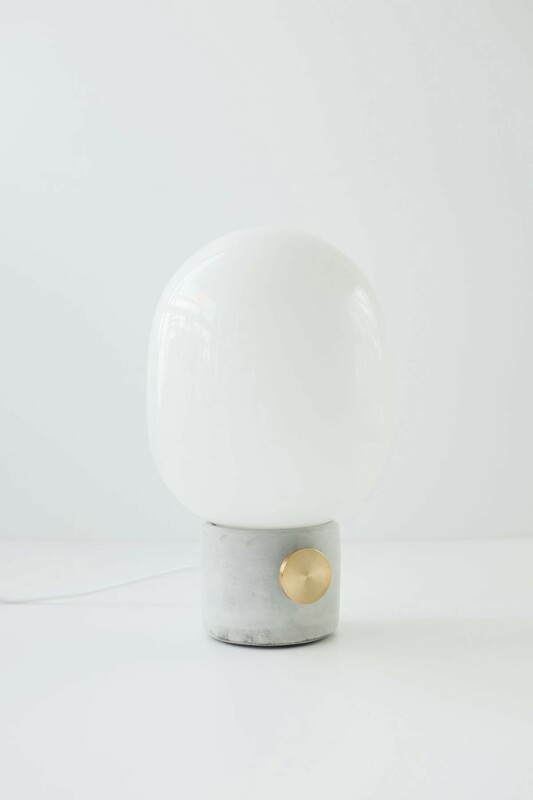 The light can range from a very subtle soft glow, all the way to the brightness you’d find in your usual table lamp. The biggest difference I’ve found from my previous lamp is how the light is diffused through the glass, supplying a calming glow throughout the room. Overall, I couldn’t be happier with this purchase, and just hope I don’t end up breaking it over time. Product designer, musician, half Greek geek.